Levani Kurumudu aims to score more tries against Queensland Country in the third round of the National Rugby Championship at BB Print Stadium, McKay, Queensland on Saturday. The 24- year old was in devastating form for the Fiji Airways Drua side scoring three tries in the 66-5 demolition of Brisbane City in Lautoka last Saturday. The Nawamagi, Nadroga native currently leads the charge in top try-scoring list with four in the NRC and also leads the clean break stats with 12. “It has been a grand year for me making my debut for the Drua,” Kurumudu said. “I am a winger and love to score more tries. I feel happy to score three against City and one against Melbourne Rising. But it is not my individual play as at the end of the day we play as a team. The robust winger plays for Army in the Suva Rugby club competitions. He said there will be tough competition within the team as there are other wingers too in the likes of Asaeli Atunaisa , Jona Sawailau, Apisalome Waqatabu, Aporosa Tabualawaki and Avete Daveta. “There is a tough competition out there for wing position which is good for us,” he added. 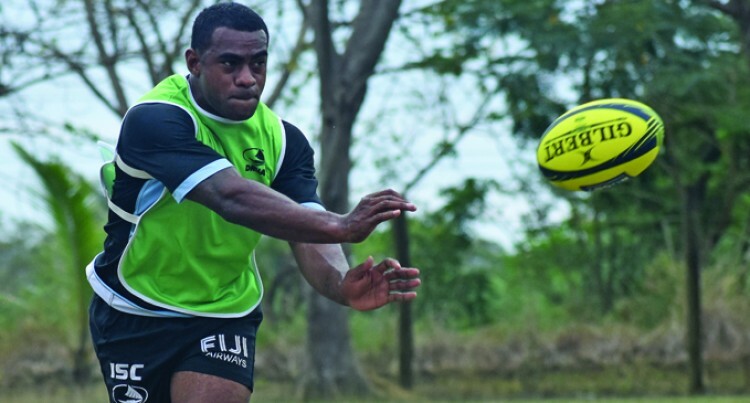 The Senirusi Seruvakula coached side returned to Nadi yesterday and trained at the International School ground. The side departs today for Brisbane to play Queensland Country on Saturday and Sydney Rays next weekend.